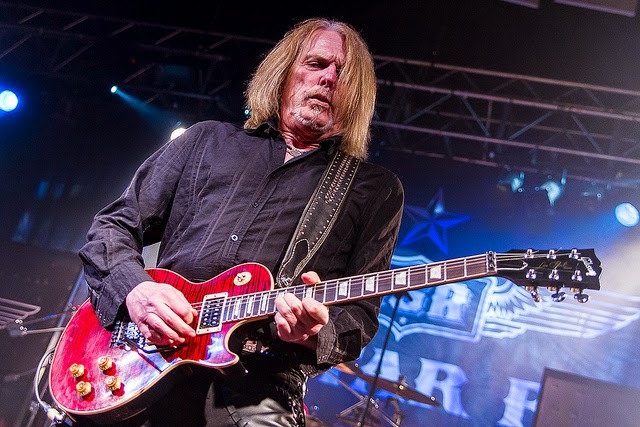 A band formed out of the ashes of Thin Lizzy are currently rocking the UK, with the Black Star Riders on the crest of a wave after the success of their first album. And according to guitarist Damon Johnson, new and old fans alike are guaranteed a relentless pursuit of 90-minute live perfection and appreciation of the four-minute rock song. 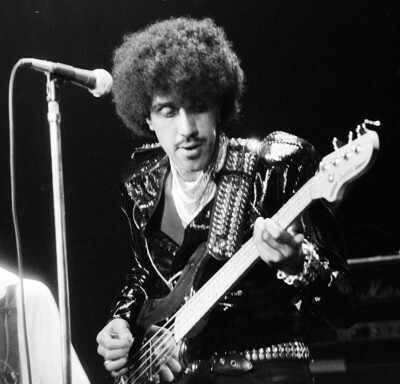 When Phil Lynott died in 1986, it seemed to mark a definite end to Thin Lizzy, arguably one of the most influential hard rock bands of all time. In barely a dozen years they steadily evolved into world-beaters, splitting three years before the charismatic Dubliner’s death, the 36-year-old by then a solo artist. But the band re-emerged in 1996, marketed as a tribute to Lynott, that five-piece still including founder member Brian Downey and 1974 recruit Scott Gorham. That was 22 years after Gorham replaced original member Eric Bell, the Californian immediately proven integral to Thin Lizzy’s guitar sound. 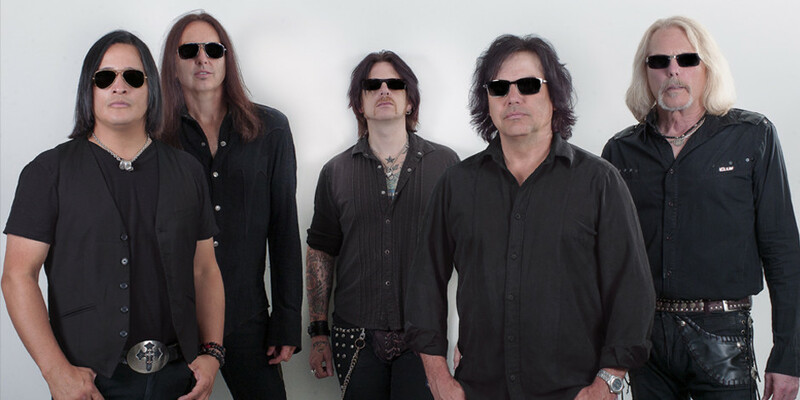 A watershed followed at the end of 2012 as drummer Downey left while Gorham went ahead with a new incarnation of the band, ditching the old name and launching the Black Star Riders. 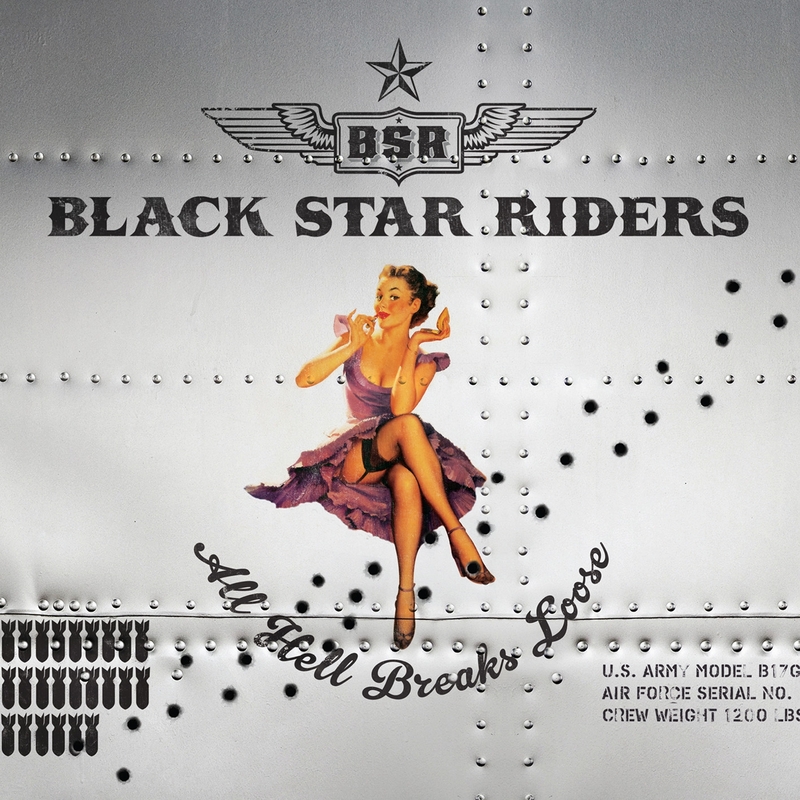 The new band’s debut album All Hell Breaks Loose was something of a statement of intent, with those off to see the Black Star Riders on their current tour promised a big night from ‘the next step in the evolution of the Thin Lizzy story’. 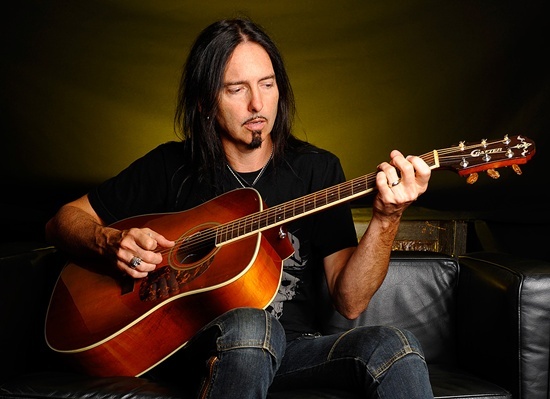 Gorham is partnered these days by vocalist Ricky Warwick, guitarist Damon Johnson, bass player Robbie Crane and former Megadeth drummer Jimmy DeGrasso. And while treating with reverence all that came before, the Black Star Riders have plenty of belief in their new direction, as Damon stressed over the phone from a tour date in Leicester. 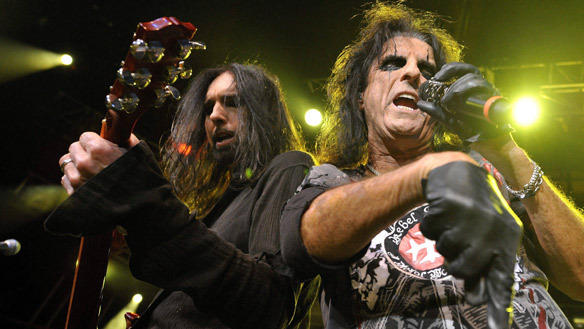 The 50-year-old Alabama guitarist and song-writer, previously with Brother Cane, Alice Cooper and Whiskey Falls, said: “We’ve been fortunate enough to step out of the shadow of Phil a little bit, and knew we had to if we were to continue to perform. I’m guessing the name-change reflected the decision to carry on yet remain respectful of that past. “I think that description is very accurate. We were in a unique situation, having played a part of Thin Lizzy. It was an honour to be asked to participate, and they were a tremendous influence on us. “We knew the band was very strong, but Scott wanted to write new songs and create new music, yet felt shackled by a split decision by the other band-mates, the fan-base and everyone. “Some were excited by the thought of new music under the Thin Lizzy name, but some were like ‘no, that wouldn’t be right’. So common sense said it wouldn’t be. “Not only was Phil the front-man and the voice of the band, but he wrote all that stuff. “It’s certainly hard – I won’t kid you. It was a leap of faith to step out of that security blanket. And it’s much easier to get promoters to book you if it’s a name that has history and a fan-base. “But that brings me full circle and to the fact that we are so appreciative to the Thin Lizzy faithful – they’ve embraced the Black Star Riders in a way we could never have dreamed. Damon’s impressive CV before being recruited included tours with Van Halen, Aerosmith, Robert Plant and Lynyrd Skynyrd. Were those wild days? “They were great days, and I certainly learned a lot about the business, about song-writing and performance, and learned a lot about life. Was December 2012’s re-brand an exciting time for this guitarist, who also wrote for Sammy Hagar and Stevie Nicks and worked with Ted Nugent, John Waite, Carlos Santana and Steven Tyler? “It was incredibly exciting, mainly because we knew we had some great material. We knew we were sitting on some great songs, another thing that made the decision a lot easier. “To finally get the album released and get out and book dates in the UK as Black Star Riders – that’s something we’ll never forget. “We’re sat on the back of well over a dozen new songs, so we’re full steam ahead in the process of getting this second album ready. So when did you first hear Thin Lizzy? “July 16th, 1979, when I made my way into a Ted Nugent concert at the Von Braun Civic Center in Huntsville, Alabama, with some band called Thin Lizzy opening the show. “I knew the name and I’d heard The Boys Are Back in Town on the radio a couple of times. You can use whatever adjectives you like, but it changed my life. “I hit the streets the next day looking for as much Thin Lizzy as I could get my hands on. “That started a steady 10-year study, starting with the guitar players and those great parts, and getting up close and personal with Phil’s writing, his phrasing and story-telling. “So, rolling the clock forward to 2011 when I got a phone call saying the guys were interested in having me come and fill the guitar spot, that’s just crazy! Although brought up in Alabama, Damon was born in Macon, Georgia, a city with plenty of musical heritage, not least its part in the Otis Redding story. “I equate it with that myself, my friend. I’m really proud to be from there and it’s always nice to speak with people who appreciate the contribution that city made. “And you certainly have to include Capricorn Records and Phil Walden, The Allman Brothers Band, The Marshall Tucker Band, and Wet Willie. “I was there about five years. I’ve pretty much lived in Alabama my whole life, but Dad’s family was from Macon, where he and my Mom lived after they married. “Huntsville, where I first saw Thin Lizzy, is known for its contribution to the space programme. As a younger kid we’d go up there because I was fascinated by all that. 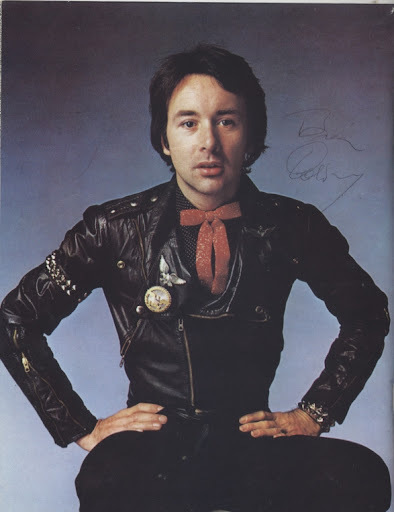 I put it to Damon that his band-mate Ricky Warwick – like Thin Lizzy founder member Eric Bell from Northern Ireland – perhaps has the hardest job as the Black Star Riders’ front-man, and therefore perceived in some circles as a substitute for Lynott, clearly a hard act to follow. But Ricky is hardly a trainee, having also had a busy apprenticeship, fronting Scottish hard rock band The Almighty and also playing key roles with New Model Army, (briefly) Stiff Little Fingers and alongside The Cult’s Billy Duffy in Circus Diablo. “Ricky is a proper artist in his own right, and an incredible song-writer. And for a guy so influenced by punk and the spirit and essence of everything that stood for, he also studied Phil’s writing. “I just can’t imagine Scott could have found a better guy to sing those Thin Lizzy songs, giving it more integrity and respectful allegiance. “I joined Thin Lizzy because I wanted to play those great songs with Scott Gorham and Brian Downey. 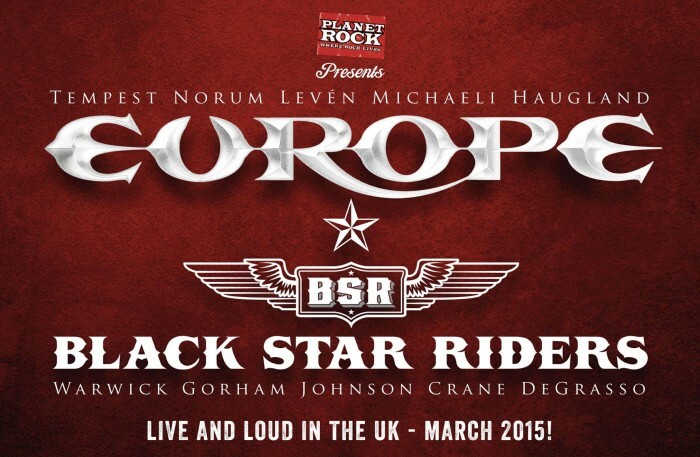 But let me be clear about this – I’m in the Black Star Riders because of Ricky Warwick. “I’m honoured and very happy to be in a band with that guy as one of my song-writing partners. “He’s a great spiritual leader – with his commitment not just to his band but to his family, to putting in a great performance, to staying healthy, and all that. “He’s a powerful role model for us, and I really don’t know how else to tell you – that’s why I’m here! There’s a clear Celtic influence on certain tracks on the first album. I get the impression that while America may be home, there’s plenty of Irish passion and original Lynott spirit. There’s a harder edge to you, musically. 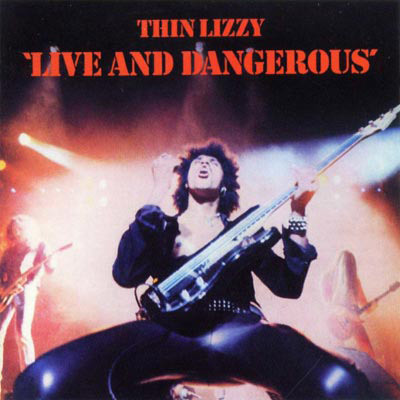 Do you think that was the way Thin Lizzy were going before Phil left? “We’ve planted our flag firmly in the hard rock camp, and the pop music of the day when Phil was still around had more in common with guitars. “Pop’s completely different now and we’d never even pretend to try to associate ourselves with that. Does having a former Megadeth drummer involved add to that ‘harder’ aspect? 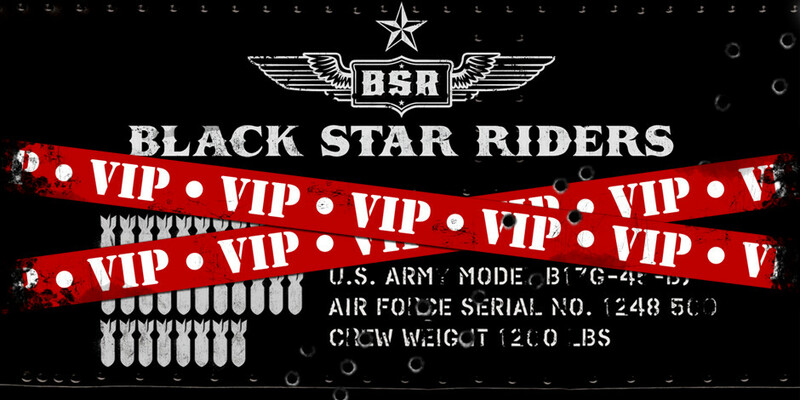 The Black Star Riders name suggests homage to Wild West roots too, not least with four of you coming from the States. “Yes it does. I think it’s a great name. Coming up with band names is really a drag, but we just kept telling ourselves the music is going to define the name. One year on from the release of All Hell Breaks Loose, it’s seen a positive reaction. Are you proud of those first recordings? “Yes, and yes! We made absolutely the right record, have learned so much and certainly had an opportunity to grow as a band. And tracks like Bound for Glory seem to be pure Thin Lizzy. “Absolutely. It was a lot of fun, but we’re just trying to write great songs. Scott certainly brings that Thin Lizzy guitar sound to the table, but if you strip the song down to just acoustic guitar it’s simple a really good song. “The fact that our fan-base feels like it’s carrying on the Thin Lizzy spirit – that’s wonderful, and we’re proud of that. Is there ever a chance of first Lizzy guitarist Eric Bell guesting one day, or – who knows – maybe even Midge Ure? “Anytime we could have a chance to see those guys would be fantastic, and they would certainly be welcome. Is Brian Downey still in the loop? Might he join you again at some point? “We haven’t had a lot of communication with Brian, but it was certainly an honour to be able to play with him. “And as my sister so fondly tells all our friends and family, you can go to Wikipedia and see my name on the Thin Lizzy page underneath Brian Downey! What do you think Phil Lynott or late Thin Lizzy guitar legend Gary Moore would have made of it all if they came down to see you play? “I think they would see it and hear it and it would be impossible for them not to recognise the quality. That’s what they would be proud of. Are the Riders properly wild between gigs? Is the candle still burning at both ends? Or have you caught Scott in a relatively ‘pipe and slippers’ era? “He’s somewhere in between! Let me tell you something, and Ricky and I talk about it often, to go on that stage with that guy every night – he still carries himself with so much swagger and style. I take it you enjoy the buzz of the live work. Is there a good vibe backstage and on the bus? “I asked him what he meant and he said, ‘The word is out that it’s such a good hang and such a great bunch of guys. There’s no drama, and the band storms it every night on stage’. 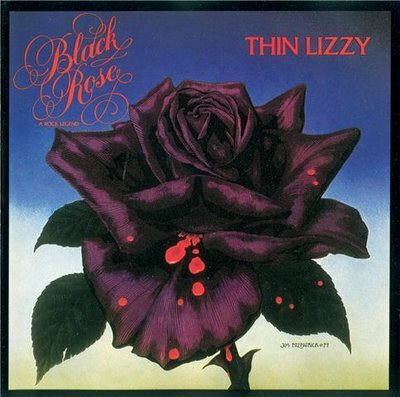 At this point I’ll point out that the 1979 Thin Lizzy album, Black Rose – A Rock Legend, was my favourite of the band’s LPs. 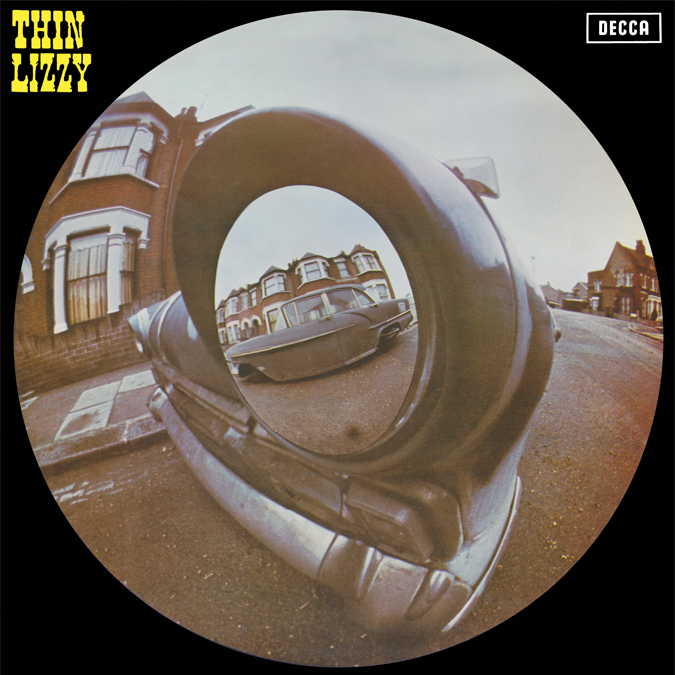 As well as the fantastic musicianship and trademark dual guitars – in this case involving Gorham and Moore – there’s Lynott’s lyrical phrasing on tracks like Do Anything You Want To and the retrospectively-poignant Got to Give It Up. Then there’s Waiting For An Alibi and so much more, right up to a spectacular seven-minute Roisin Dubh finale. Hardly ‘new man’ material on dodgier numbers like S & M maybe, but along with the previous year’s Live and Dangerous it’s probably the closest this punk and new wave lover got to appreciating hard rock. So is Damon still playing any of those songs or any other Thin Lizzy tracks live? I’d love to see you tackling Rosin Dubh for a start. 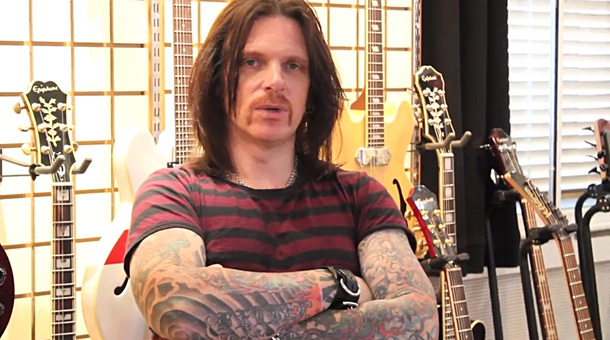 “We do a majority of Black Star Riders material, and the Thin Lizzy catalogue is so vast, but we do play Waiting For An Alibi sometimes. “Hopefully in the coming years we could kick the tyres on playing the title song. It’s such a great guitar tour de force. We played that for the year and a half I was in Thin Lizzy and it’s an epic, to be sure. “Again, that’s the cool thing about the place we find ourselves. I just love the fact that our fan-base is very pleased we are playing some of the Thin Lizzy catalogue. Are you close to finishing that second album then? Are you all family men away from this? And what kind of show can we expect from you on this tour? “I think with anyone who comes, there’s one word those who come are going to say when they leave – ‘relentless’. “We basically drop the first note and it’s unwavering for the next 90 minutes, man! “We’re very proud of our performance as a band. It’s not a jam or loose ‘oh hey, let’s stretch this out, man’ thing. “We’re fans of the four-minute rock song. It started with The Beatles and it was certainly carried on by Thin Lizzy. “That’s certainly what Scott’s always been passionate about. We experienced that with him in Thin Lizzy and now with the Black Star Riders as well. The Black Star Riders are next in action at Tivoli, Helsingborg, Sweden (August 3), Preston’s 53 Degrees (August 5), Buckley’s The Tivoli (August 6), Birmingham’s The Asylum (August 7), and Norway’s Back in the Fields Festival, Alesund (August 9), returning to Europe for the Rock Cruise in Stockholm, Sweden (October 10) and an appearance at Great Yarmouth’s Vauxhall Holiday Park (October 19). Those are followed by a 14-date UK tour in March, 2015. For further details of all those shows and more about the band, head to their website here. If you enjoyed this feature, you might want to read this blog’s piece with Saxon’s Biff Byford – A Life in Denim, Leather and Spandex – from February, 2014, with a link here. This entry was posted in Music and tagged Alabama, All Hell Breaks Loose, Black Star Riders, Brian Downey, Damon Johnson, Eric Bell, Gary Moore, Jimmy DeGrasso, Phil Lynott, Ricky Warwick, Robbie Crane, Scott Gorham, Thin Lizzy. Bookmark the permalink.